Let’s talk about rigging the CT or Curl Tail version of the Buggs Fishing Lures. Here are the steps to change out the tail on the custom-designed screw lock we use. Start by removing the top piece of bunny from the the hook. To make this easier, pull the bunny down as you bring it off the hook point so you won’t bring fibers through the slit in the bunny. Once the bunny is off the hook point, pull the top piece, side pieces, and flash back towards the head. 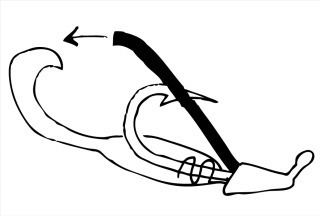 Then with your other hand, begin to unscrew the curl tail from the screw lock. 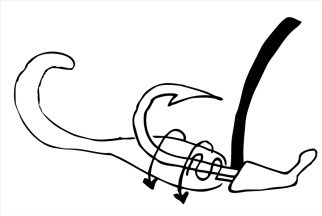 As you unscrew, the tail will get hung up in the bend of the hook. 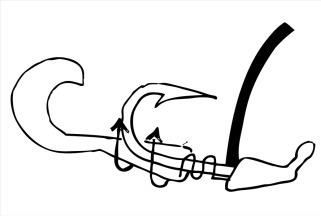 As this happens, bring the end of the tail around the hook point. This will save the tail (if the fish hadn’t already torn it up!) and help you release it from the screw lock. Once it’s released, pull it off the hook point. Now you’ll install a new curl tail. Start by pushing the hook point straight into the end of the grub about a half inch, and then bring the point out of the side. Push it down the hook shank until it hits the screw lock. 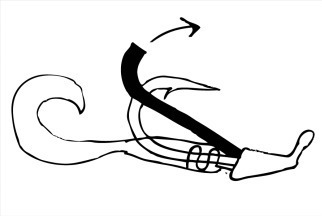 Now begin screwing the grub on, and as it gets hung up on the hook bend, help it around the hook point and continue to push and screw it onto the hook point. Two rotations usually does the trick. The last step is to pull the top piece of bunny back onto the hook all the way down to the curl tail grub. Than you’re ready to go! The standard tail for the 1/8 and 1/4 oz. versions is a 3″. You might find that your curl tail gets hung up in the bunny on the retrieve. This will hinder the action of the tail, but is easily fixed. Simply unscrew the grub one rotation, bringing it back and giving the tail more room. One of the cool things about rigging the CT versions of Buggs is the flexibility to change out the tail for any other type of soft plastic you choose. When bass fishing I often times use a double tail grub or craw-type trailer. And if I want to present a longer profile I use a 4″ or 5″ tail. The possibilities are almost endless, and you can be sure that your grub or trailer is secure because of the custom screw lock.